For our "field trip friday" we took a trip to the kitchen. Too much of a stretch? Maybe. So the kitchen is about as far as we've got today. Of course for me, venturing into the kitchen can seem like a big trip. 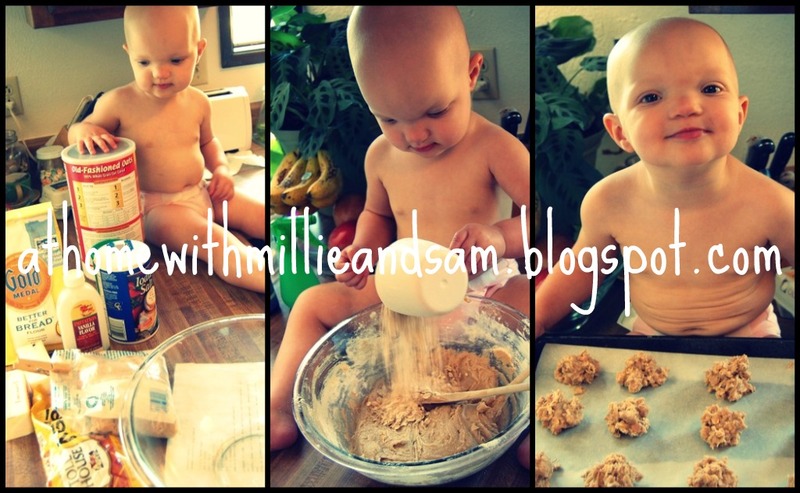 And making cookies - or any food for that matter - from scratch is especially out of the ordinary. For me at least... Cooking from scratch is not easy. Unless of course you happen to have (as I do) the world's best cookie recipe. 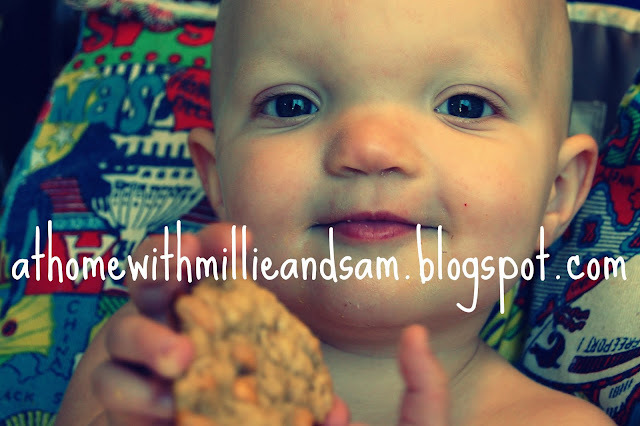 And Millie and I decided that we needed cookies. It's just a cookie kind of day. Not only were we making an especially delicious and uncannily easy recipe, but WE were cooking. "We," as in, Millie and mama. Together in the kitchen. 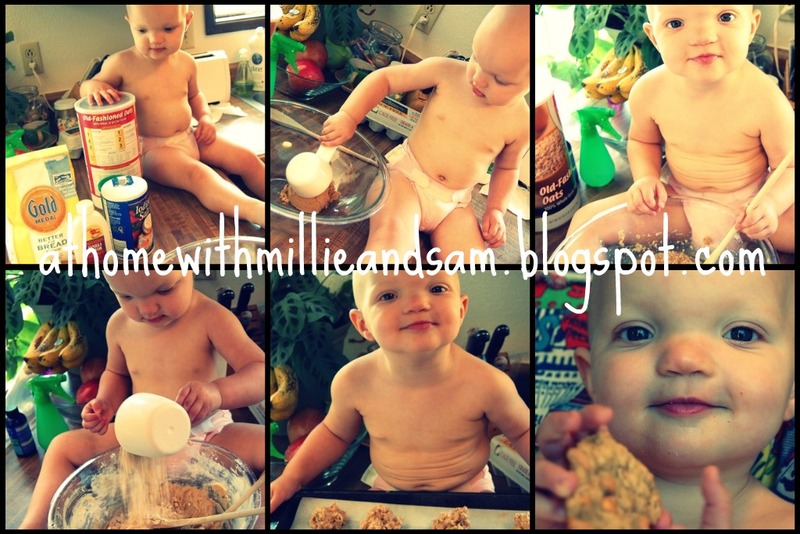 Millie's first batch of cookies. Do I have to tell you that she LOVED it? Especially the pouring. With few exceptions, I let her add all the ingredients. And she even got to sample the butterscotch chips! the first sheet of cookies was cooled and just asking to be eaten. In another bowl - mix flour, baking powder and salt. Stir in oatmeal and chips. 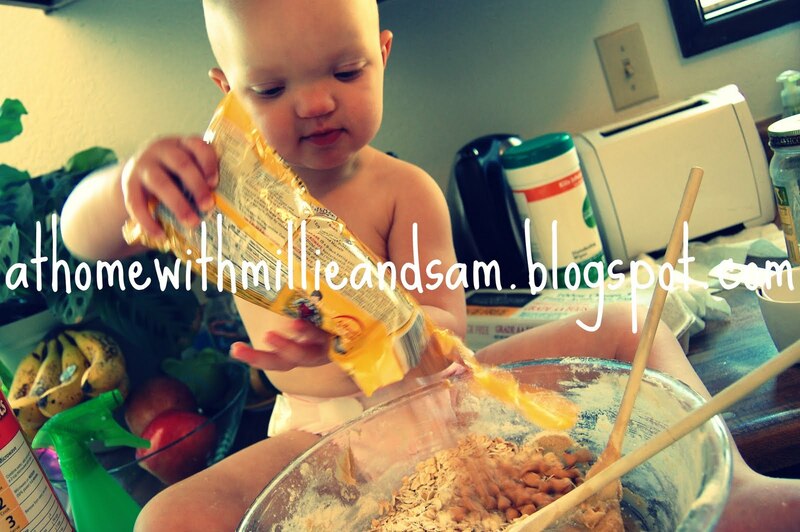 For more awesome recipes, check out my favorite food blog: Creations by Steph. 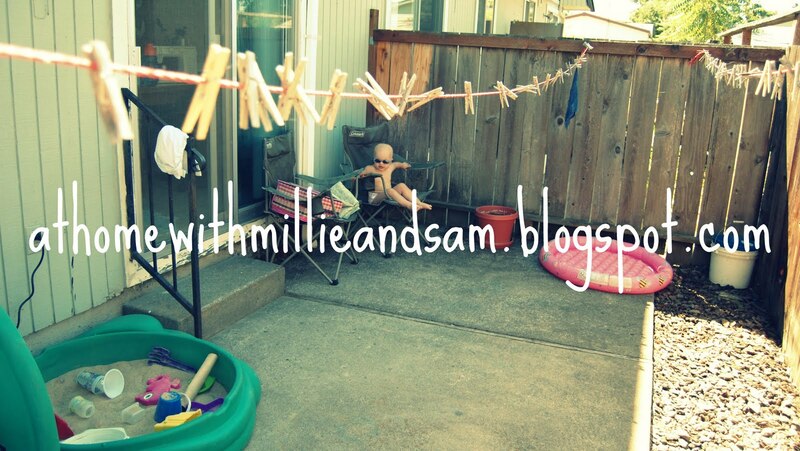 The author of this blog is amazing. And my sister. 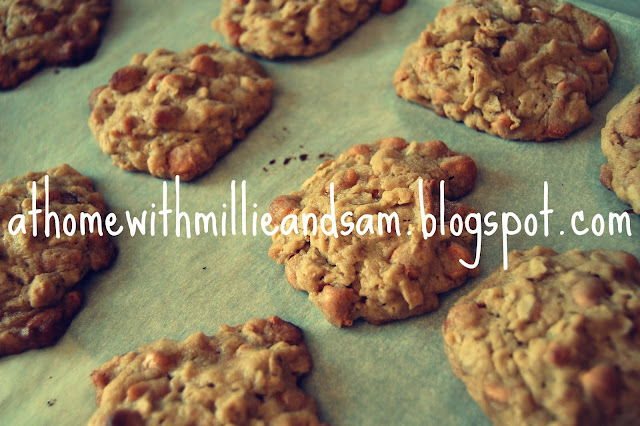 She's been neglecting her blog to work on wedding cakes and party desserts, so she needs some blog lovin.